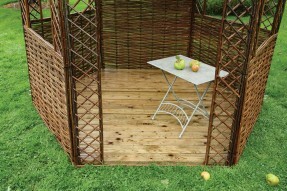 Available in Ecru, Taupe or GreenShowerproofTaupe colour shown in image.. 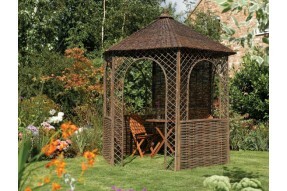 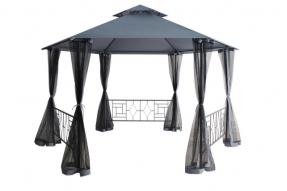 Available in Ecru, taupe and greenShowerproofGreen colour shown in image..
Width - 3.5mThe Barcelona is an elegant gazebo and would compliment our brown rattan, eucalyptus and..
Dimensions - H278 x W357 x D357cmEight-sided gazeboPressure treated against rotNatural timber finish..
Dimensions - H270 x W300 x D260cmSix-sided gazeboMultiple infill panel combinationsPressure treated ..
Width - 4mThe Madrid is an elegant gazebo and would compliment our grey and black furniture ranges4m.. 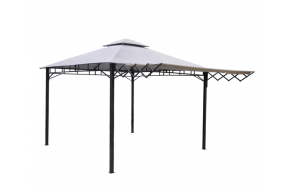 Heavy duty gazebo with folding awning 3.3m x 3.3m square Roof air ventA strong and sturdy ..
Dimensions - H270 x W394 x D300cmEight-sided gazeboPressure treated against rotNatural timber finish.. 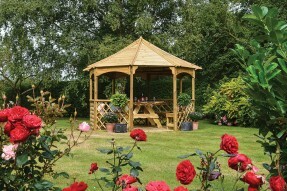 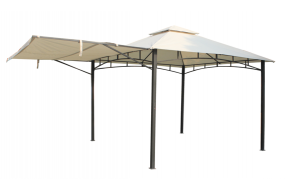 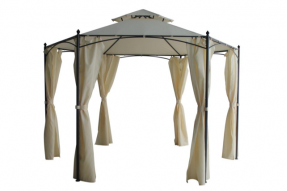 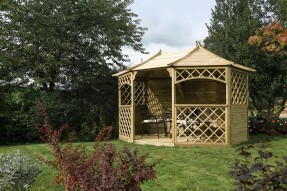 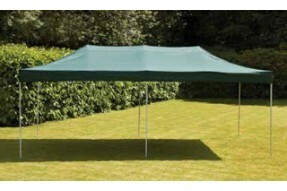 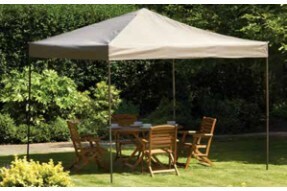 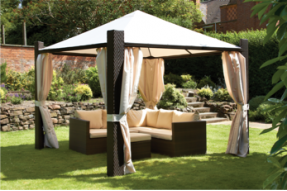 Heavy duty gazebo with extending awning3.3m x 3.3m squareRoof air ventA strong sturdy gazebo that wo..
3m square deluxe weave gazebo with ivory coloured sides.The Capri range is our most popular in Ratta..
Dimensions - H265 x W248 x D215cmSix-sided gazeboAttractive rustic designEasy to assemble..
Dimensions - W230 x D200cmPressure treated against rotNatural timber finish..